Before you can take your first driving lessons on a public road, you must be 17 and have a valid provisional driving licence. This can be obtained by completing a D1 form, available from the post office. This needs to be returned with birth certificate or passport and a passport sized photo for identification purposes. The current cost of a provisional licence is £50 this can be applied for up to three months before your 17th birthday. Providing you have a valid provisional licence, a lesson can be given on your 17th birthday. 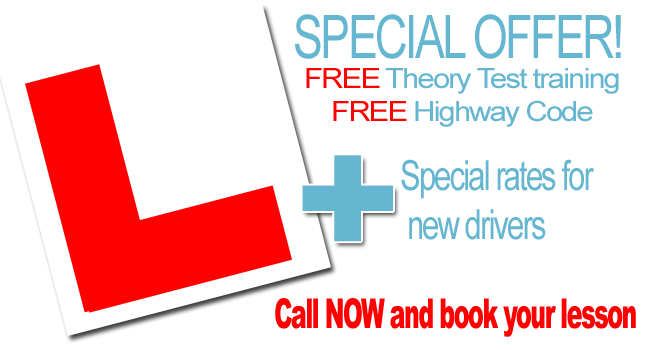 On your first driving lesson with Craig Polles Driving School, your instructor will issue you with one of our learner driver welcome packs and will recommend useful publications and training aids which can be supplied if required. Unlike so many other schools, we will get you driving as soon as possible which will help build your confidence more quickly and give you the maximum benefit from each and every driving lesson. Your driving instruction will be provided on a one to one basis and we will always honour the full 60 minutes of each lesson. The current average amount of lessons for those who pass their driving test is about 45 hours of professional tuition combined with 22 hours of private practice.